Hello fellow Earthlings! Every month we round up some keys pieces of info from our home planet. Wanna get the goss delivered the lazy way? Get the news delivered straight to your inbox. Subscribe below. Join the Earthling mailing list! There are thought to be 500 times more pieces of microplastic in the sea than stars in our galaxy. The documentary film X Trillion takes us aboard with the all-women crew of eXXpedition as they sail out of their comfort zone and into the Great Pacific Garbage Patch. 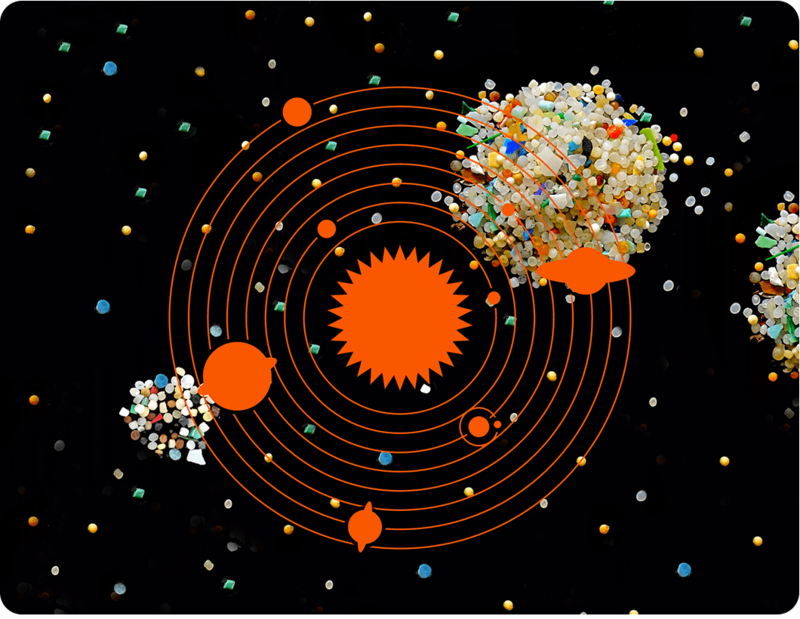 Check out this one in a trillion kickstarter and have your say about plastic pollution in the Deposit Return Scheme government consultation. The EAT-Lancet Commission have made the first global framework for healthy diets and sustainable food production. 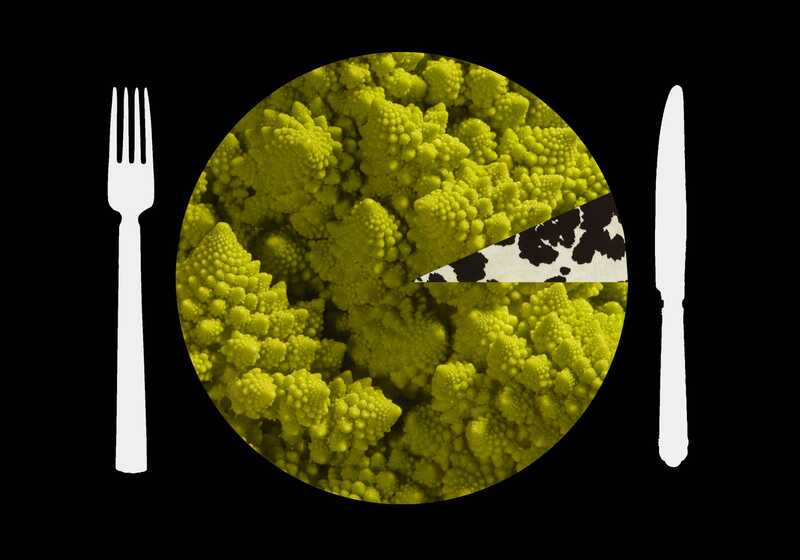 Feeding 10 billion people a healthy diet within safe planetary boundaries for food production by 2050 is both possible and necessary. Simply put, we need to eat more plants and fewer animal products. Electronics waste is growing yet repairing products is often more expensive than buying new ones - something’s not right. 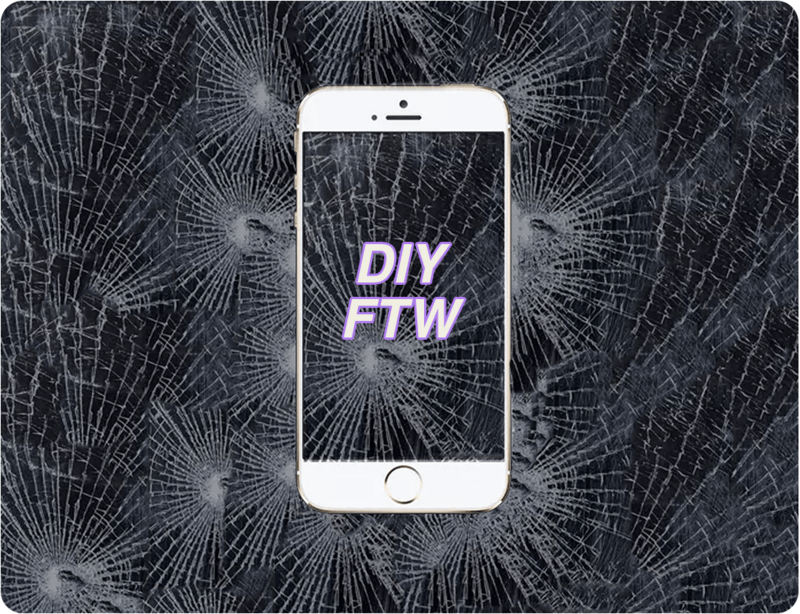 Find out more about the people fighting for our right to repair. The first schools strike for climate action took place this February and inspired the first climate change debate in the house of commons in over two years. Do better than the MPs that played truant at the debate and attend the next schools strike or take part in Extinction Rebellions International Rebellion Week in April. 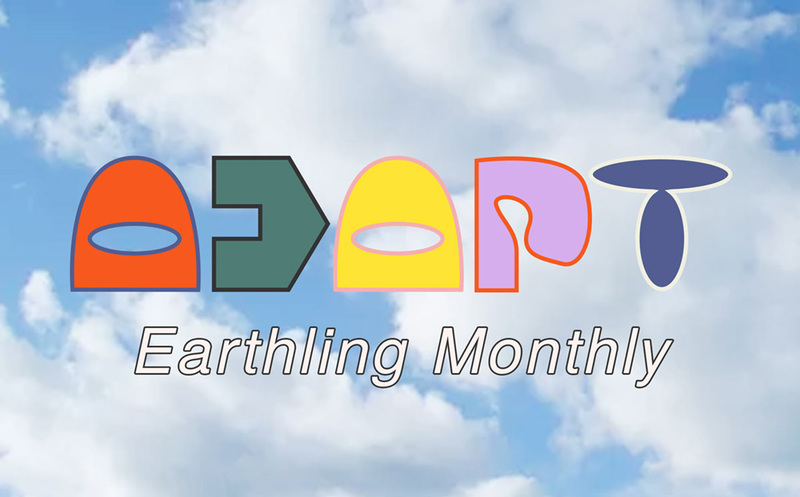 Check out the Adapt Calendar to keep up with all climate related events! This land may be green, but is it pleasant? I believe that Britain has an unspoken problem. One that Brexit hasn’t wished to touch upon for fear of the landmine that could explode. This is Great Britain being a ‘green and pleasant land’. We think it’s all okay here because it looks green, seems pleasant and things like the Amazon rainforest’s destruction, Arctic ice melting at an exponential rate and corals bleaching seem far more destructive. I believe that Britain has an unspoken problem. One that Brexit hasn’t wished to touch upon for fear of the landmine that could explode. This is Great Britain being a ‘green and pleasant land’. We think it’s all okay here because it looks green, seems pleasant and things like the Amazon rainforest’s destruction, Arctic ice melting at an exponential rate and corals bleaching seem far more destructive. However, 28% of the country is given over to pasture land, 27% to crops, including half just to feed livestock, and 7% of sheep grazed moorland. Up to 62% of our ‘green’ landscape is industrialised. This land may be green, but is it pleasant? Conversely, only 13% of the UK is described as forested, a loose term that requires up to 40% tree canopy cover, with 6% being natural grassland and 9% peatland. These natural and semi natural habitats form just over a quarter of the country, yet is home to the majority of wildlife. In comparison the European average of 44% woodland coverage, let along mountain and grassland cover shows just how denuded our landscape is of wilderness. Meanwhile 1 in 7 UK species is declining due to a host of reasons from habitat loss to chemical and air pollution from agriculture and industry to climate change. Human habitation has killed off all the large predators centuries ago, from the brown bear and lynx before the Normans arrived to the last wolf in Scotland in the 18th century. With such a long list of issues what can we do? It can feel hopeless, with Brexit beating all other news items alongside Trump’s latest tweets. But there is an opportunity here to shape our future by rediscovering the wildness of nature. I believe we need to redefine what this green and pleasant land should be, and it’ll take a bit of soul searching and illegality to do it. Wild camp. Hike and explore the woods, fields and mountains of the UK and experience it from one dawn to another. It may be illegal in England and Wales, but that just gives you some of that adrenaline that we have been missing from our sedate country walks. 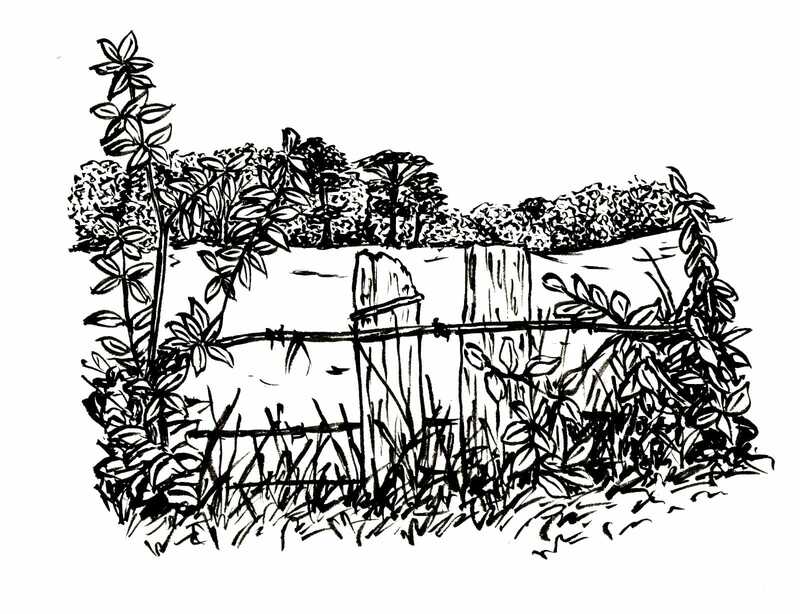 As the afternoon sun dips, you begin to see the landscape for hollows or sanctuaries, away from the wind and from authority. The late sun turns your world into reds and shadows. The adrenaline of an illicit night takes hold as you sneak a home into the landscape. Suddenly the land shifts from your walking route to the home of the night prowlers, the creatures that we rarely see. 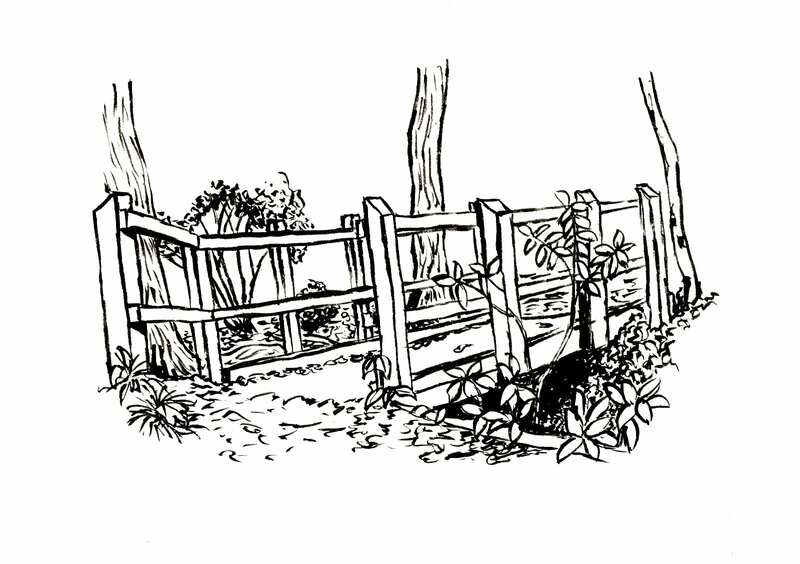 As you lie in your tent, each shuffle of the leaf litter outside could be a badger, a fox or worse still, an irate groundskeeper. As you lie exhausted from a day’s walking through winding, earthen paths, scouting out water sources on your map and accepting the wetness of your clothes from exertion, you listen to the wild around. You can hear the owl flying between the trees, the scatter of small animals and the course of nature as wind, leaf and rain scratches against the thin veil of protection that keeps you warm and dry. Waking up, you are immersed in the environment, no longer a choice and the realities of the elements comes with each shower of rain and misty, sunlit morning. You begin to see the value in the fights between ramblers and groundsmen during the early 20th century that gave you the right to now walk through farm fields and along country estates. You cherish the early morning sun that breathes life into your cold limbs as you take down your tent. 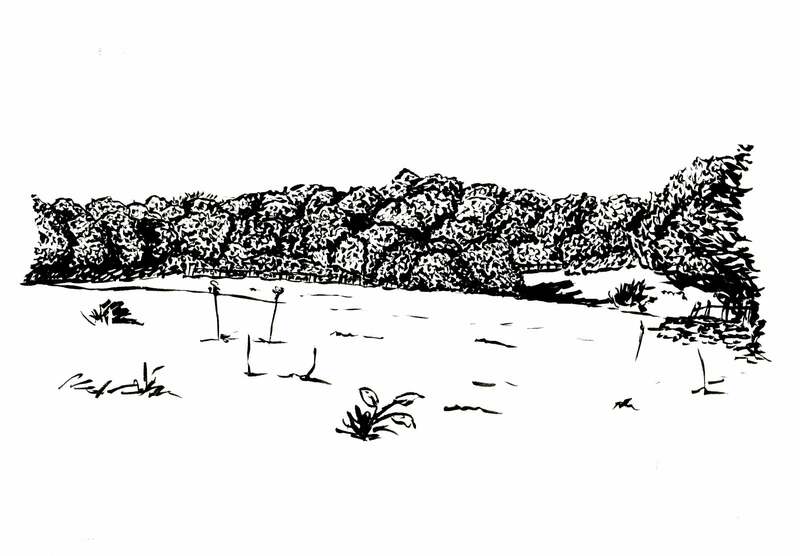 You begin to identify trees and animals, connecting to the movements of the landscape rather than the harsh austerity of the designed town that you restock in. You long to be back in the dense beauty of the wood and freedom of the field, and the value of the landscape comes across in undulating waves as you walk over hill and vale. As you walk and camp, you yearn for those spots of truly green and pleasant land. The ubiquity of roads, private farmland and golf courses mar the landscape and you begin to get an uncomfortable feeling about who the land is actually for, and it isn’t pleasant. As ever, the future of Britain is tied with the landowners and the wealthy, yet you can now see what to fight for. Fight for a wilder Britain; a Britain of intrigue and wonder. Lobby for species and habitats to be brought back from the edge of extinction or entirely so with the reintroduction of keystone species like the Eurasian lynx, beaver and boar. Demand local, green energy. Support your local farmers and buy through independent schemes or get an allotment plot. Invest in your experience of nature. Help bring nature to others. Imagine a greater future, be part of the conversation and help shape the land that will you will gift to the next generation. Climate change; Be more like Brexit. 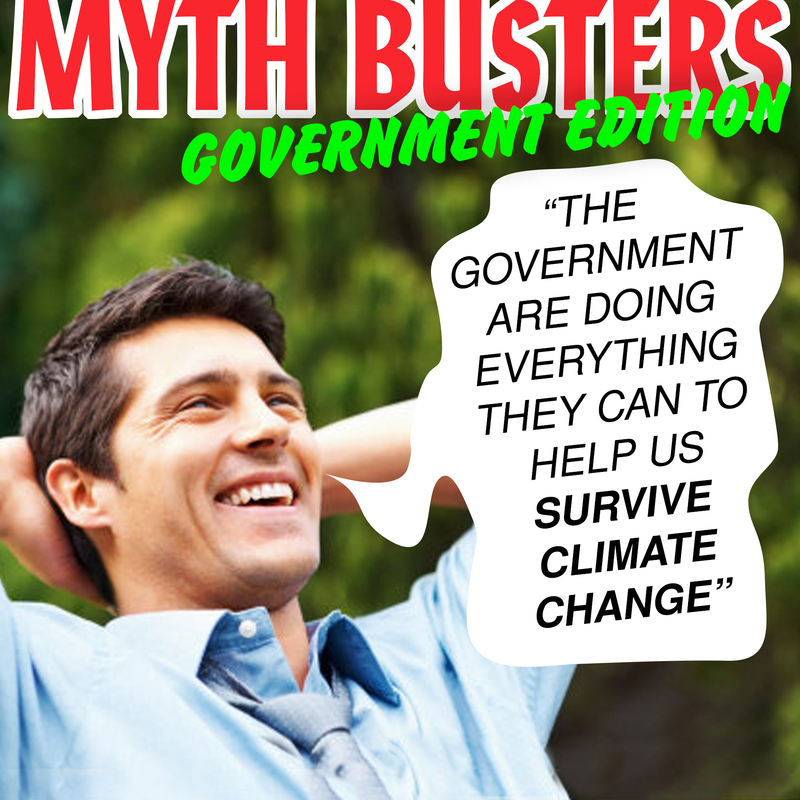 The British public are grossly misinformed about Climate change. It’s almost as though there’s a giant bus driving the length of the country, promising the future of life on earth to anyone who’ll believe it. The British public are grossly misinformed about Climate change. It’s almost as though there’s a giant bus driving the length of the country, promising the future of life on earth to anyone who’ll believe it. Yet, unlike the other big fibbing bus of recent years, instead of being surrounded by hotly bubbling debate, it is surrounded with a strange kind of disinterested silence. Unlike our friends across the pond, almost all British people do agree that in some way, climate change is happening. According to a recent study by the National Centre for Social Research, 93% of British people think that climate change is real. This sounds good; like we’re on the right track. But then they break it down. 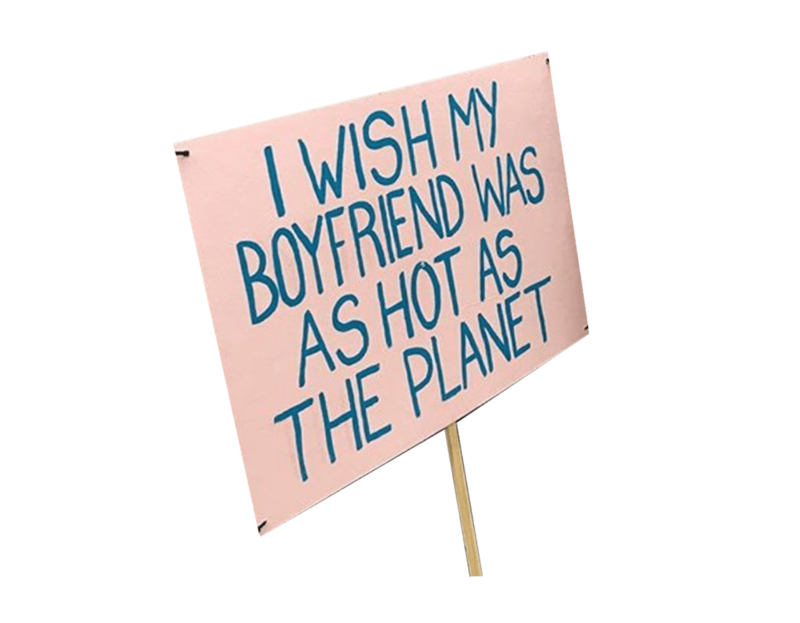 The IPCC recently concluded that humans are mainly to blame for climate change. Only 36% of British people believe that to be the case, with 53% believing that an equal combination of natural factors and human activity are to blame. The latest warning from the IPCC states we now have only 12 years to accomplish extreme emissions targets (which we have 5% chance of achieving) in order to subdue catastrophic climate change. Despite this, only 45% of people in the UK are ‘somewhat worried’ compared with 25% who are ‘extremely worried’. Undeterred by the doomsday predictions offered by the majority of the scientific community, the UK seems to be crossing its fingers and hoping for the best, potentially because there’s a resistance to lifestyle changes that could help limit warming. There are many potential reasons for this lack of understanding of the true implications of climate change; one could be the incredibly weak, and almost non-existent media coverage of these issues. Another is that climate change just isn’t dinner party conversation, unlike, of course, Brexit. Brexit shouldn’t have been dinner party conversation either, but to the dismay of many families, colleagues and friends, it became so. The conversation was unavoidable and became so rife that even some of the most indifferent became flag wielding corner-fighters. For those months before the vote, right or wrong, everyone knew everything, and no-one knew nothing. For the sake of debate, climate change needs to be more Brexit. With high expectations, I took this theory to a small event with liberal and like-minded people. In hindsight this was maybe not the best idea. Expecting brashly to bowl in with serious climate change statistics to agreement and consideration, I was highly bemused by their responses. ‘You would say that, you vegetarian’ said one. ‘It’s not that much of a big deal’ said another. ‘Well we can’t do much about it like you lot in London, we don’t have compost bins and proper recycling facilities’ and the arguments kept coming. What I was saying wasn’t having the intended effect. I mentioned the scientific estimate that arctic ice could be gone by 2030 envisioning a more emphatic reaction. Nope. Just laughter, eye rolls and disbelief. I asked what they had read or heard that made them think these things, anticipating a hopeful alternative to these dire statistics. There was nothing; they just felt they knew everything was going to be OK. The consensus was that if there was anything worth knowing, they would have read it in the papers or heard it in the news. If history has taught us anything, it’s that fighting blind faith with facts rarely gets you anywhere. The absolutely lovely thing about the outcome of the Brexit vote has been the shame and disappointment at the leave campaigners who have been proven to have misled the country. Brilliant. There at least, even if we are driving over a cliff edge, there is some accountability. But where is the accountability for our politicians obstructing our climate justice? Encouragingly, Donald Trump has come under considerable fire for his climate policies. But then again he’s bold enough to discuss them openly. Theresa May is somewhat more secretive about her very similar views and policies. The conservative party was funded £400,000 during the 2016 election campaign by the fossil fuel industry. They pledged ‘unprecedented support’ to fossil fuels and investment in renewable energy is due to fall by 95% in the following three years following the Tory win. 30% of our national emissions come from energy production, and if we can’t cut this, then we don’t stand a chance of meeting our Paris agreement targets. When our emissions get driven over a cliff edge, it will be too late for accountability; we need to stop the car, pull into a lay-by and try our best to find our way back to a safe place. The other strange benefit to the Brexit debate was the moment of realisation amongst many leave voters (and some campaigners) that a mistake –or a few– had been made. Like the woman who bemoaned the fact that she could no longer take her pet dog to her holiday home in Spain, we need the British public to realise that their opinions have been misled by the media. There is a glimmer of hope in the form of Ofcom investigations into the BBC’s climate change coverage, however as a result of the IPCC’s warning of imminent global catastrophe, the broadcaster invited a climate change hoax conspiracist to dispel the scientific research. Only when climate change invites itself as a conversation topic into homes, through TV screens, media websites and dinner party conversations, will the public be armed with the correct information to defend their and their children’s futures. The level with which people educated themselves on Brexit policy needs to be applied to global warming science, and only then can we expect any positive change and impact from our government. Palm Oil Was Supposed to Help Save the Planet. Enough about us; more about us!